Fill out the form below to have the Alpine String Quartet contact you with a quote, and with more information! 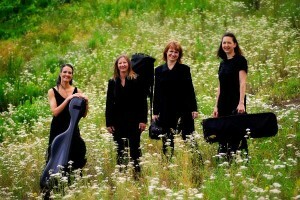 The Alpine String Quartet has played throughout the Twin Cities for several years. Our musicians have a wealth of experience performing in the area’s professional ensembles, including the Minnesota Orchestra, the Minnesota Opera, The Guthrie, Children’s Theater, Vocalessence, and many more. We have a wide repertoire of classical favorites, popular music, jazz, ragtime, and Broadway musicals. Consider us for your cocktail hour, dinner party, wedding ceremony, reception, or special event! How can I hire your group to play for my event? Please fill out the form below, or contact us at info@alpinestringquartet.com to check on date availability. Once the date is set, we will send you all the necessary paperwork and start the planning process. How will your quartet fit into our ceremony? exits, and then postlude music following the ceremony as your guests depart. I am not sure of what music I would like for my wedding? Can you help me choose? selections appropriate for your wedding. Some musical selections are available on our website. Do you play music that is not on your “Repertoire” list? additional fee for this service. Is it possible for me to come and hear your group? to one of our rehearsals. precipitation. If these conditions occur, we will need to relocate indoors. 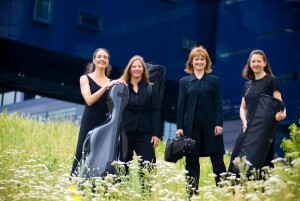 Will your quartet perform outside of the metropolitan area? Yes. We will gladly travel up to 30 miles from downtown Minneapolis for no extra charge. An additional fee is required for events beyond 30 miles.